First light on Mount Hess (center) and Mount Deborah (right). I have been wanting to go to the Gillam Glacier for ten years. I attempted two times to reach it, once by foot and once by skis. This time I took the easy way, Super Cub. 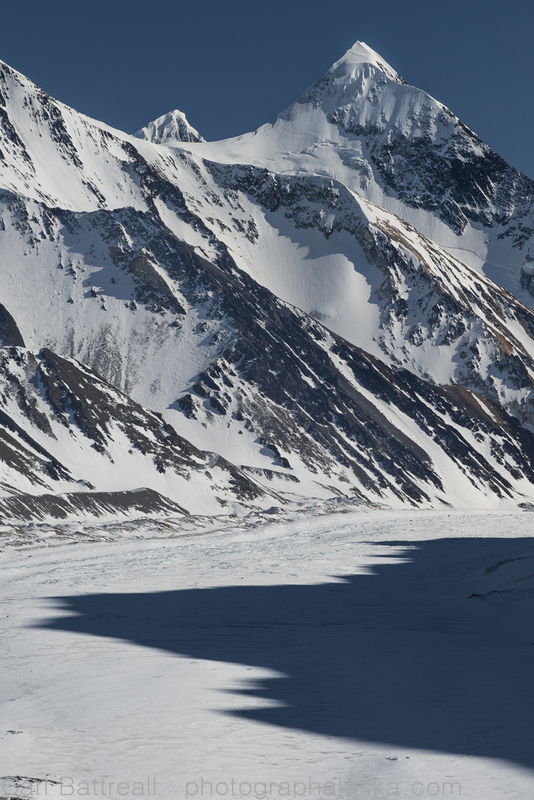 The Gillam descends from the north side of the eastern Alaska Range. It is shaped like a stubby Y, with one branch heading towards the base of Mount Deborah and the other to the bottom of Mount Balchen and Mount Geist. At the fork rises the imposing Mount Hess. 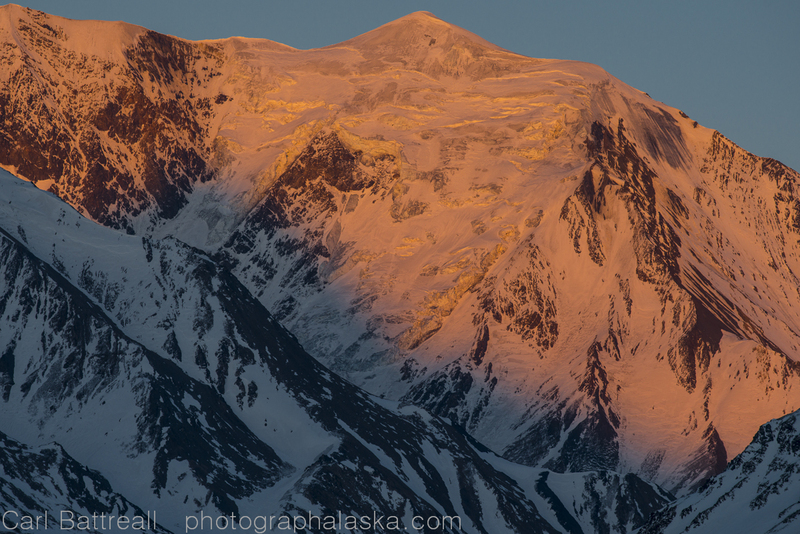 Mixed light and the north face of Mount Deborah. 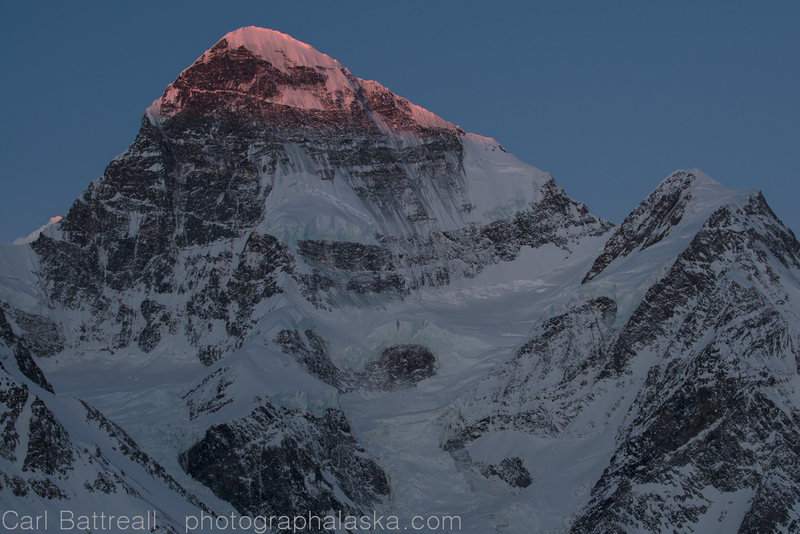 My primary photographic goal was the 12,339 ft, Mount Deborah. A legendary peak, known for its steepness and epics. One of the first mountaineering books I read was David Robert’s Deborah: A Wilderness Narrative, a classic book of mountaineering literature. Mount Deborah was first climbed in 1954 by mountaineering legends, Fred Beckey, Henry Meybohm and Heinrich Harrer, via the South Ridge. 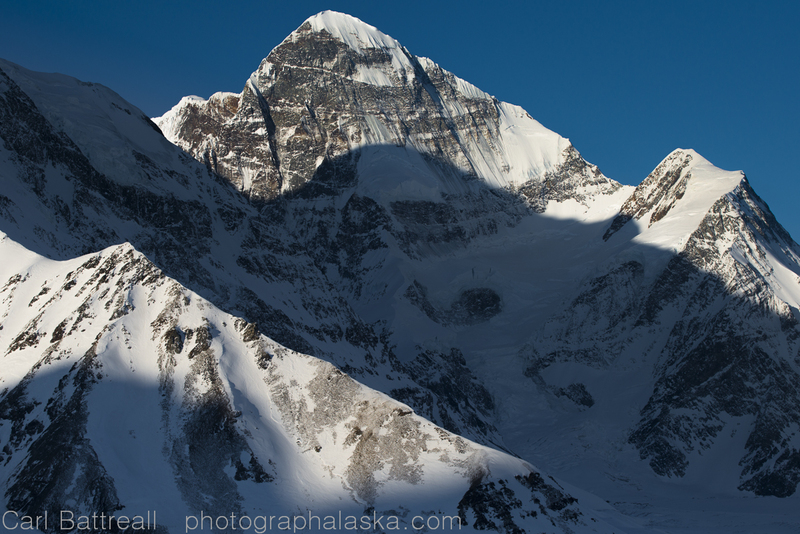 Our first camp was below the 6,000 ft north face of Deborah and the north ridge of Mount Hess. 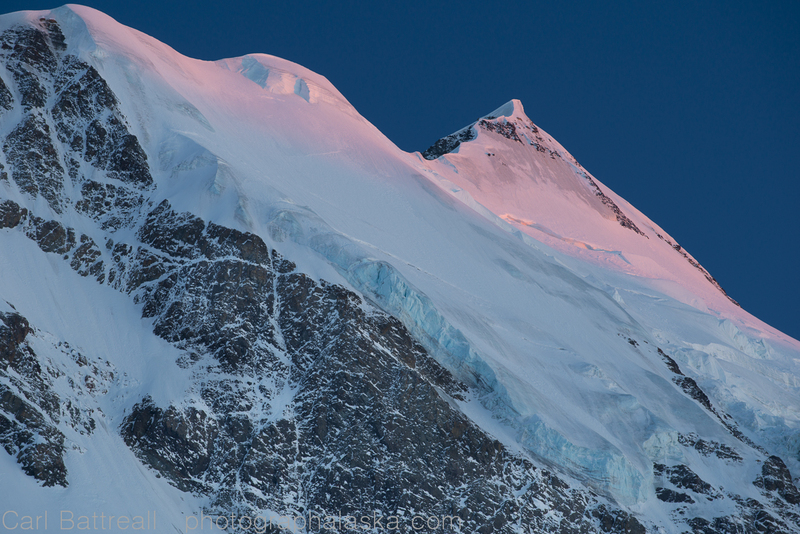 Beautiful light on the north ridge of Mount Hess. North side of Mount Hess. Amazing east face of Hess. 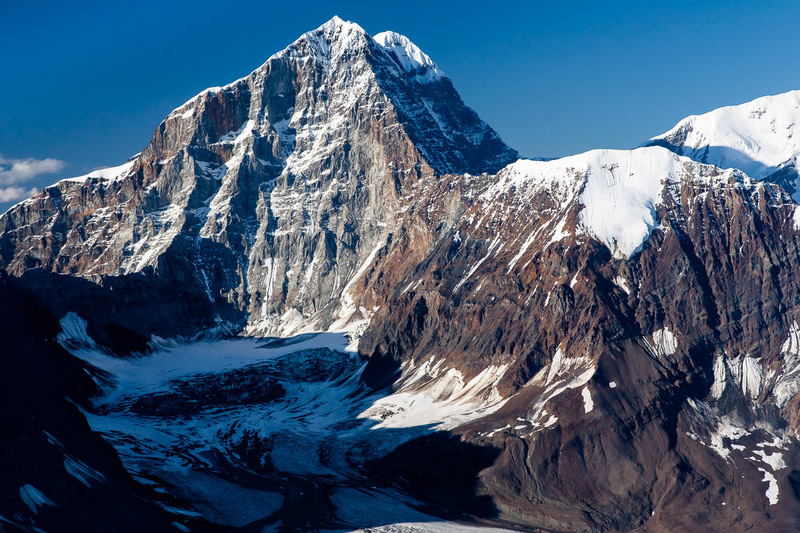 Without a doubt, it is the 11,940 ft Mount Hess that dominates the Gillam Glacier. All of our camps had spectacular views of Hess. One camp, above the east fork of the Gillam was particularly stunning, as was our camp directly below the outrageous east face. 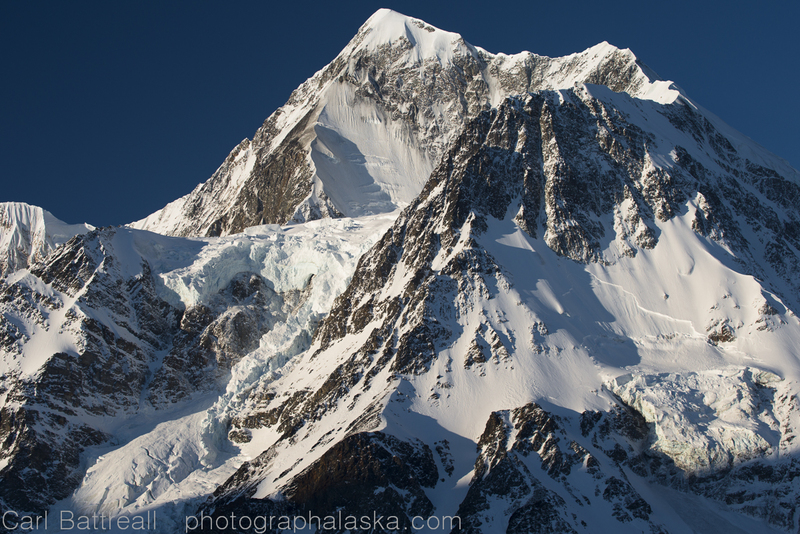 One could spend hours (as I did) trying to find a way up that mountain, with its impenetrable hanging glaciers that never quit serenading you with thundering avalanches. The only route not threatened by hanging death appears to be the east ridge, though steep, loose rock would be its challenge. 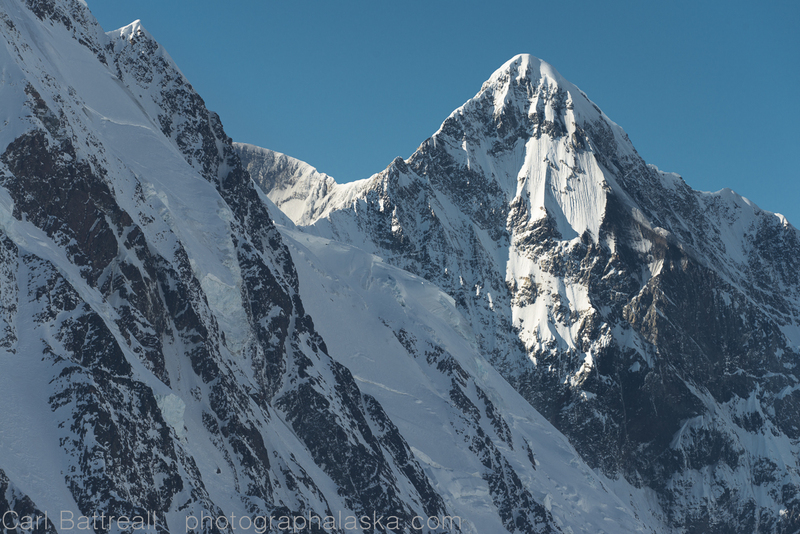 The west ridge of Mount Balchen, with it’s beautiful grey, granite spires. Shadow and Mount Geist. This is the west face. That is Mount Skarland’s summit peaking out. At the head of the east fork of the Gillam are two fantastic peaks, 11,140 ft Mount Balchen and 10,121 ft Mount Geist. From the head of the Gillam, these two unique peaks are complete contrast. Mount Geist, is a black, ugly pyramid of loose rock. Mount Balchen is a beautiful series of light grey, granite spires. 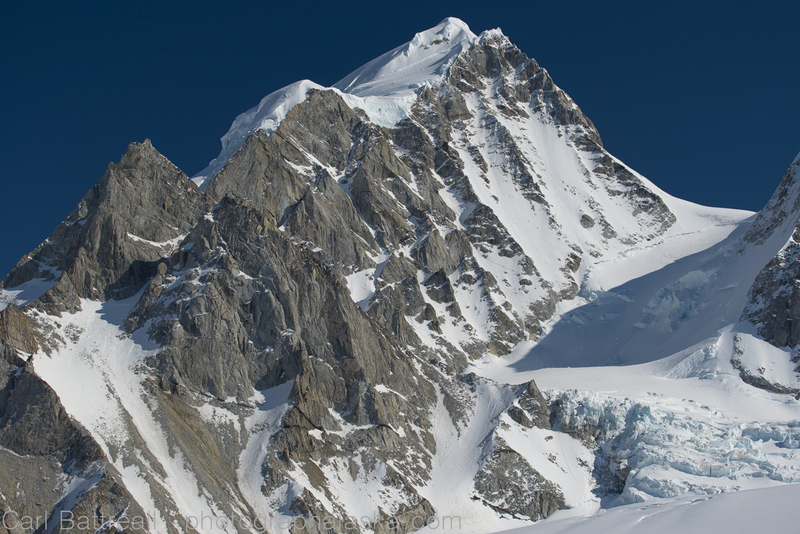 Balchen is the only peak around the Gillam Glacier, made of this pleasing grey rock. I was also able to photograph Geist and Balchen from the west. A skinny spur glacier descends from the west faces of Geist and 10,052 ft Mount Giddings, a huge chunky peak, capped with grey ice. interestingly, Geist and Balchen take on different roles when seen from the west. Geist becomes the poster child of mountain perfection, a perfect triangle of ice, Balchen on the other hand, is a huge dome, my son Walker would describe it as “plump”. The mountaineer in me was itching to climb. The bullet proof snow begged for crampons and the weather was perfect. Unfortunately, we didn’t have time to attempt any peaks nor was my partner a big climber. I am not a technical climber, the routes that looked appealing to me were the elegant north ridge of Geist and the southwest face/ridge of Balchen. Like on most of my expeditions, I find it’s not always the named peaks that are the most beautiful, in my next post I will talk about some the unnamed beauties in the area.